My husband and I didn't decide to homeschool for religious reasons, but we've found that Christian based homeschooling is one of the main advantages of teaching our children at home. We are not religious scholars, so being responsible for our children's religious education has been a bit overwhelming. However, we are learning along with our children, and we love having the opportunity to pass along our values and beliefs, and clear up any untruths our children may encounter. 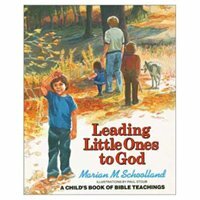 One of our favorite Christian based homeschooling resources is Leading Little Ones to God: A Child's Book of Bible Teachings. This book teaches children the basics of the Christian faith in an age-appropriate manner. It begins by teaching children about God, Jesus and the Holy Spirit. It then teaches about sin, becoming children of God and how we should live as children of God. Another great resource for Christian based homeschooling is a question and answer, catechism program like Doorposts' Catechism for Young Children. We think it is important for our children to understand that the Bible is God's Word and should be their main source of instruction. Once they learn to read, they get their own Adventure Bible. contains an introduction at the beginning of each book that tells who wrote the book, where the events in the book took place, why it was written and where you can find specific Bible stories and teachings within the book. In addition to reading from the Bible, we want our children to understand how to use their Bibles. We memorize the books of the Bible in order and learn how to locate specific passages. We have a variety of Bible study helps in our home, such as Strong's Concordance and Nelson's New Illustrated Bible Commentary. We also read from Bible storybooks. 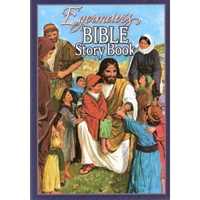 Our favorite is Egermeier's Bible Story Book. 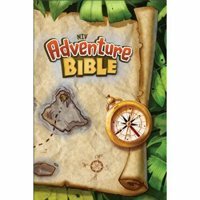 This book contains accurate, detailed Bible stories in the order they appear in the Bible. Many of the stories are illustrated, and they are all written in a manner that appeals to both older and younger children. My husband loved our readings from Egermeier's so much, that he felt moved to begin following along in his Bible. The Bible tells us to hide God's Word in our hearts and meditate on it day and night. Memorizing scripture keeps us from sin, provides us with encouragement, and allows God's Word to direct us even when we don't have a Bible nearby. I vividly remember many of the verses I learned as a child, and I believe there's no better time to memorize scripture than when children are little. Our favorite scripture memory resources are the booklets and CD's from Scripture Memory Fellowship. Learning praise songs and hymns is an often overlooked component of Christian based homeschooling, so we begin every morning by listening to our CD from Hymns for a Kid's Heart. The series of books provides kids with a gentle introduction to hymn study. Each book contains devotionals, true stories about hymn writers, sheet music, and a CD full of classic hmyns that are both kid-friendly and pleasing to adult ears. For me, these CDs brought back wonderful memories of singing traditional hymns during childhood. And even better, I love knowing that my children are carrying those songs in their hearts throughout the day. I'm a big believer in the phrase "garbage in, garbage out", so I really make an effort to choose reading materials that promote Christian values. We have a collection of Bible storybooks, stories that demonstrate Christian values and character, and biographies of heroes of the faith. You can find excellent Christian materials and character-building books from the homeschool-friendly, family-owned companies listed below. Doorposts sells a variety of Christian based homeschooling materials. We love their book, For Instruction in Righteousness, a book that provides scripture and references to help parents deal with character issues in their children. Doorposts also sells the popular character-building, Bible studies for children, Plants Grown Up for boys and Polished Cornerstones for girls. Grace and Truth Books sells Christian biographies and character-building stories for children. One of my son's all-time favorites from this company is the Ten Boys Who series which consists of stories of boys who made history, used their talents, made a difference, changed the world, and didn't give in. This company also sells two of our favorite family read-aloud series, Storytime with the Millers and A Hive of Busy Bees. Lifetime Books and Gifts sells Christian books and carefully chosen non-Christian books that teach character and family values. 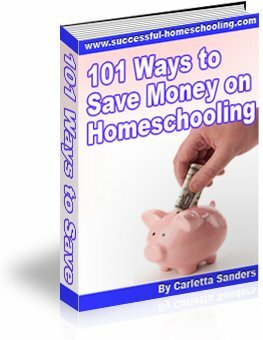 In addition, the company also sells audio seminars and hosts free webinars to assist you on your homeschool journey. Nature Friend is a creation-science based magazine that teaches children to see the glory of God through His creation. Each issue contains articles, stories, poems and puzzles, as well as a two-page art lesson. Children are also encouraged to send in their own artwork and poems for publication. Follow this link to find information about choosing a Christian homeschool curriculum.